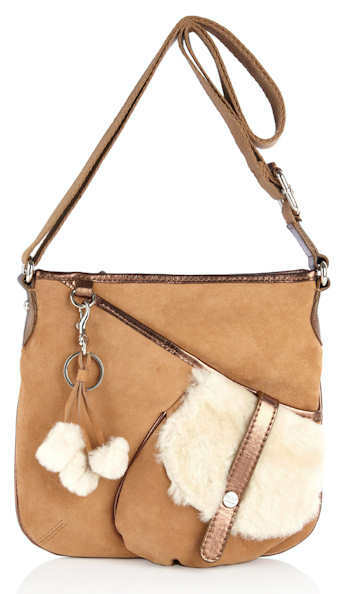 The Sara Berman Cici Stud Cross Body Bag is made from soft sheepskin leather and embellished with gold-tone studs to the corners. The bag can be styled and worn in three different ways, as demonstrated in the photo above, and whichever way you wear the bag, all the zipped compartments are accessible. The bag has three compartments, a main compartment with separate zip fastening compartments within it. 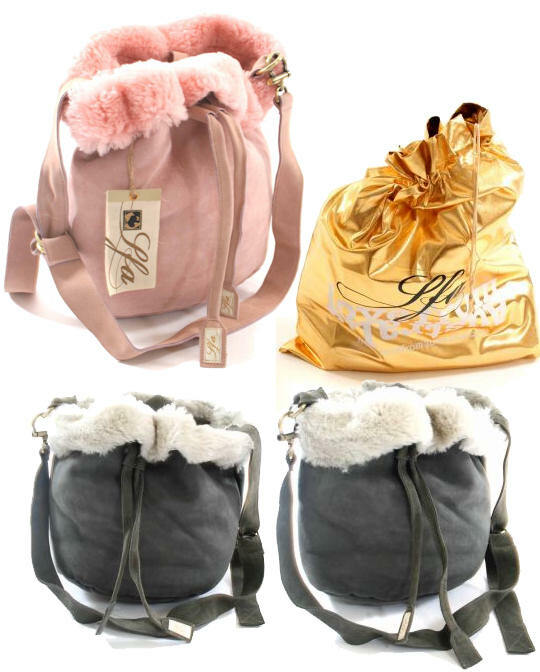 Options include using the two top handles to carry the bag like a shopper;alternatively, you you can fold over the two compartments back on themselves, or fold one compartment over the other for two different cross body bag options. All the metalwork on the bag is coloured gold. 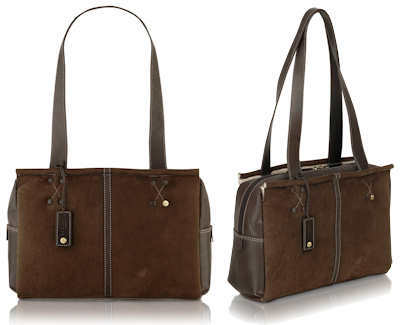 The main compartment of the bag has two concealed magnetic fastenings and the side compartments have zips. Inside, the bag is lined in signature Sara Berman leopard print fabric and there is an internal zip pocket and two slip pockets. 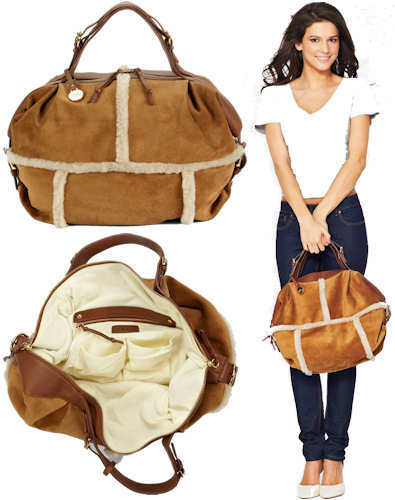 Style note: This bag is amazingly versatile and really beautiful quality. You can wear it in so many different ways it really is a case of one bag fits all. 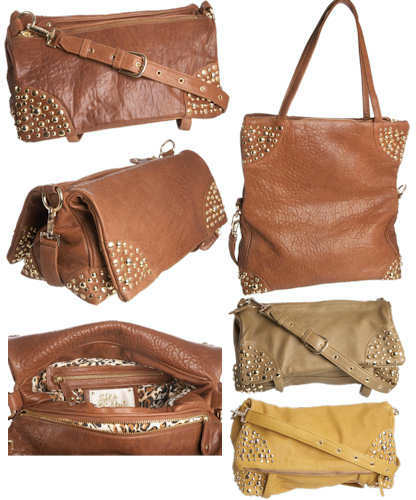 The multisized studs are a key look this season and characteristic of many Sara Berman designs. 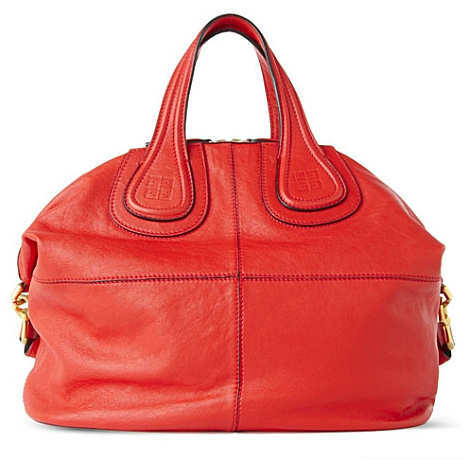 This gorgeous Givenchy Nightingale in pillar box red is Givenchy’s signature bag. In shiny leather, this bag features a zip top fastening and has stitched and quilted detail with contrast leather handles. 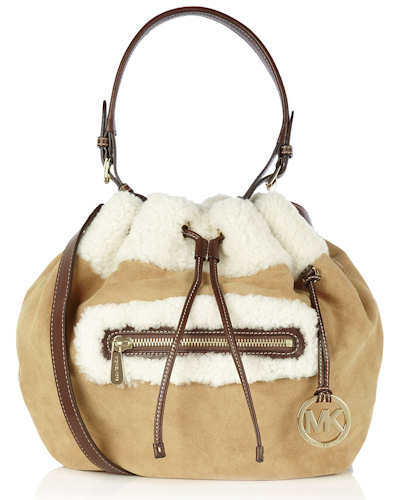 The bag has two grab handles and a removable shoulder strap with gold-tone metal hardware. Inside, the bag is fully lined and there is a zip pocket and an open pocket. Style note: The Nightingale is a timeless and iconic bag – it is also spacious and great for ladies who need to carry a lot of things around with them. I have one, and I can even carry my laptop in it, with all my other things, yet it is still go gorgeous and the very pinnacle of classic style. Measurements: 38 cm (width) x 38 cm (height); (all measurements are approximate). 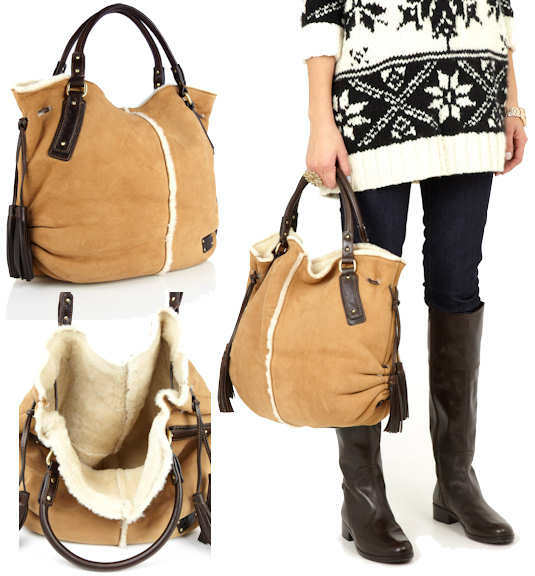 Style note: The Dorothy tote bag is a large tote that is so gorgeous and it will go beautifully with Ugg boots to make an excellent daytime look, especially in the cooler weather.